Pioneer Magnetics introduces a new breed of High Efficiency High Voltage PFC Models that provide full output power with Single or Three Phase AC Input. 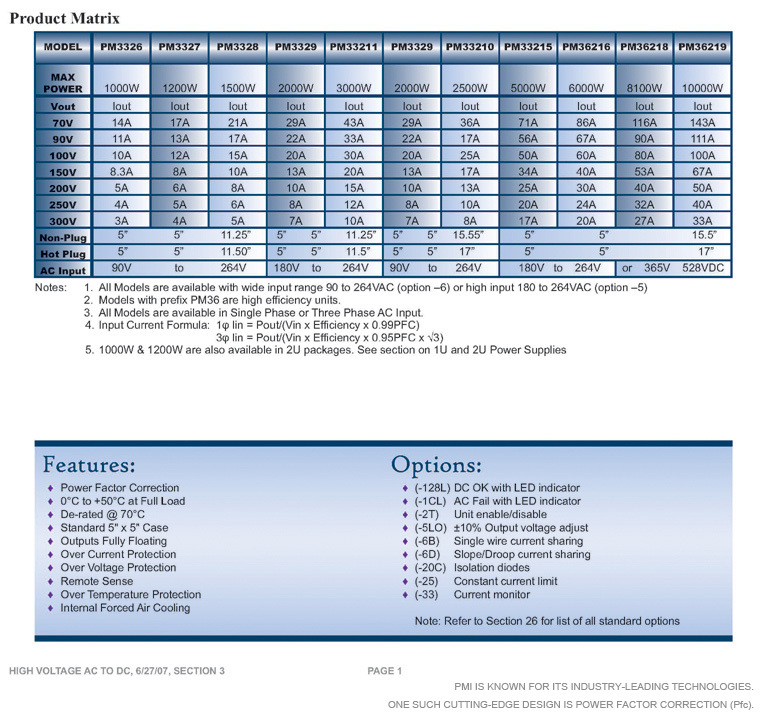 Designed to support both stand alone and parallel configurations, these models are configured in standard Non-Plug and Hot Plug I/O interfaces. The Premium Quality front ends are rugged, reliable, designed for high performance and come in the traditional 5” x 5” package. 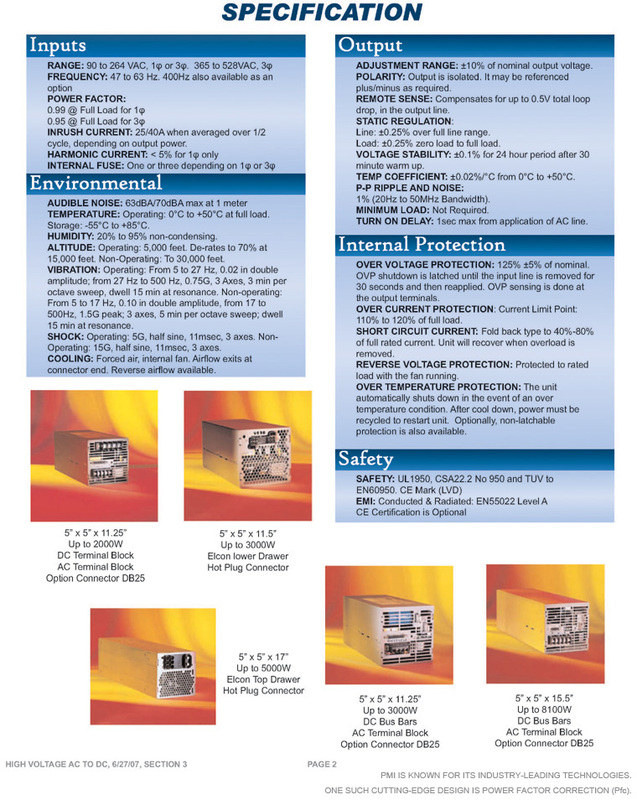 With power density up to 25.8 watts/in3, these units are featured with internal forced air-cooling and built-in protection from electrical overloads.